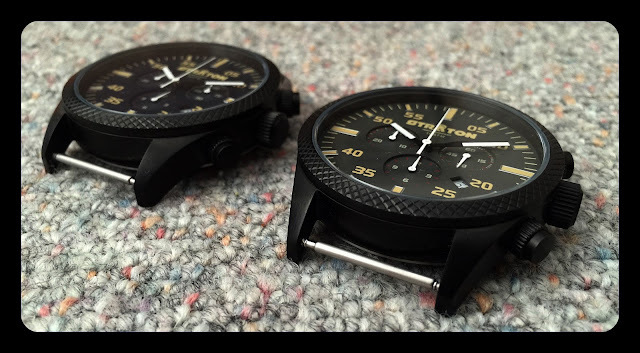 The Time Bum loves watches and loves cars, so when Kyle Schut of Straton Watch Company told me he was working on a driver's chronograph, I listened. 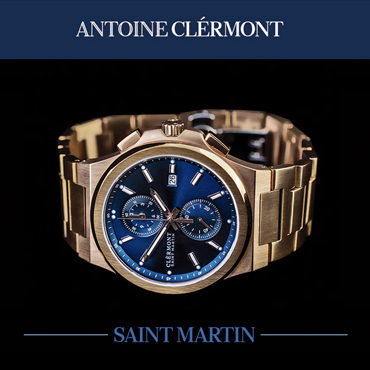 When he told me he would offer it with both quartz and mechanical movements, I was intrigued. When he told me it was inspired by his 1977 Alfa Romeo Alfetta GT, I was hooked. 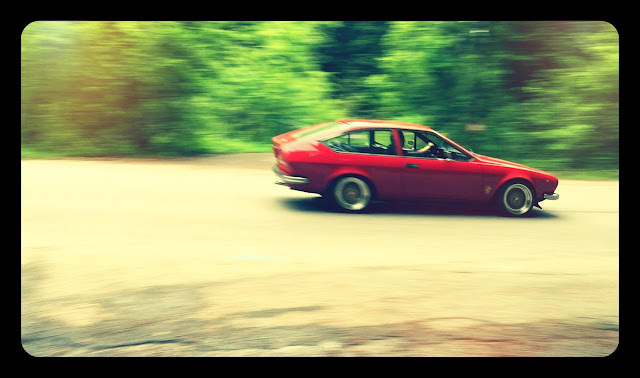 You see, the Alfetta GT was a jewel of a car that packed maximum driving thrills into a tidy, affordable package by combining an efficient, small-displacement motor with a lightweight body and nimble suspension, all wrapped up in a taut and lovely Giugiaro designed coupé body. If you want to be inspired by something cool, this is a pretty good place to start. 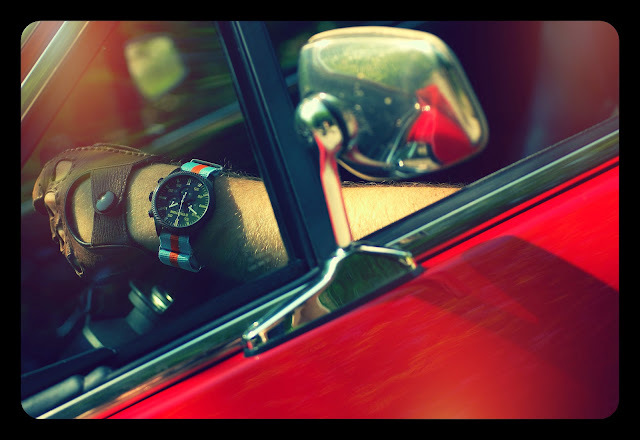 A South African native currently residing in Zurich, Switzerland, Kyle is a dedicated Alfista so he tried to incorporate elements of his beloved sports car into his watch. A chronograph was a must. After all, how else are you supposed to time laps? His choice of two-digit minute/second markers over more common 12-hour numerals heightens its resemblance to a tachometer, as does the needle-like wedge of the second hand. Just like the instruments in a car, the dial lights up at night. Vintage tan lume underscores the retro feel and pops to life in bright green. 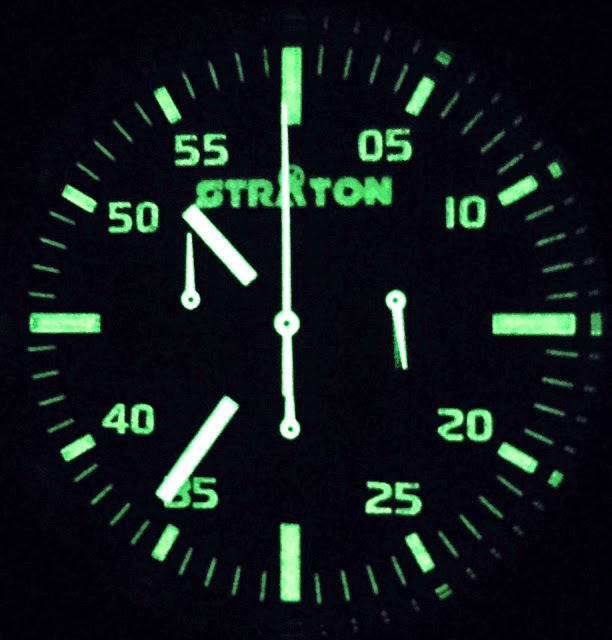 The Straton logo itself brims with 1970s swagger. There have been some improvements since the pictured prototypes. 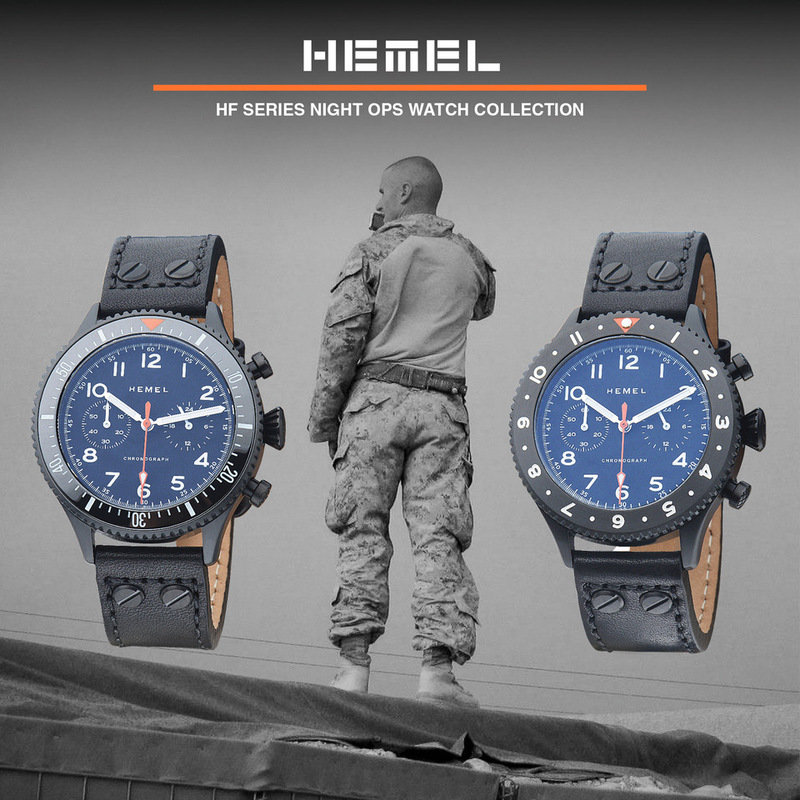 As shown on the rendering below, production models will have minute and hour hands white-tipped and filled with tan lume to match the rest of the dial, an orange second hand, and a smaller, simplified Straton logo. Five colors will be offered: black, dark blue, orange, gray, and white. Both brushed and black cases will be offered. 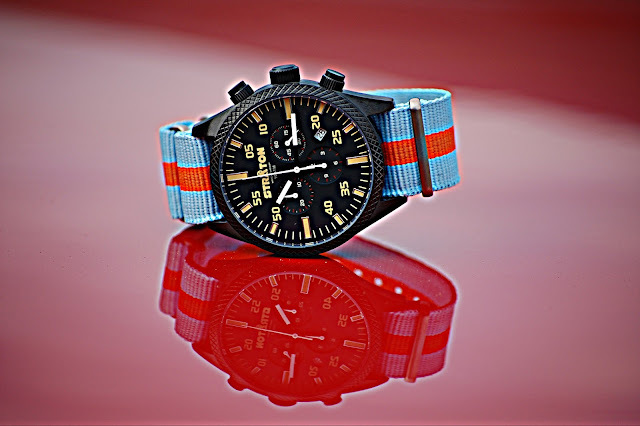 Each watch will come with two nylon NATO straps, one solid color and two multi-stripe racing patterns in colors recalling the iconic Gulf and Martini racing teams. Kyle is also working on a two-piece leather rally strap. 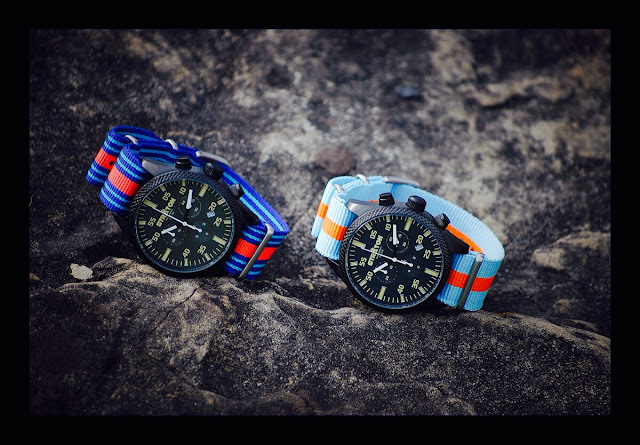 The stainless steel case is 44mm wide and has a knurled bezel. The aggressive texture serves no function, but it is the sort of mechanical detail that looks cool nonetheless. 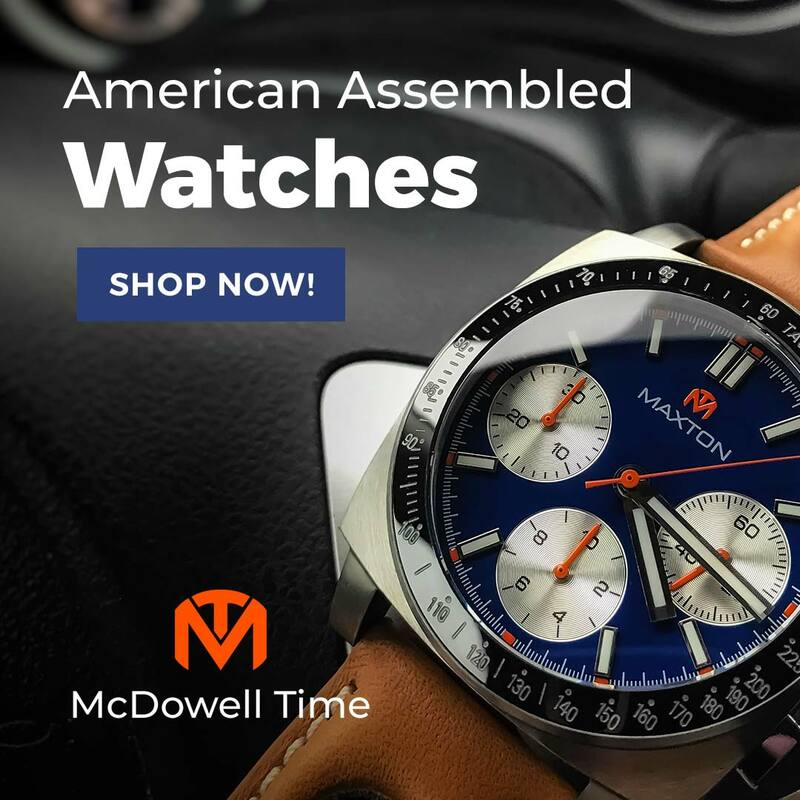 Broad as it may be, the watch is only 12mm thick, so it should not interfere with your Nomex coveralls or driving gloves. The prototypes have mineral crystals, but sapphire is planned as a stretch goal if funding permits. Water resistance is 100 meters, a useful feature as the track can often be a wet and messy place. Of course, a machine is only as good as its engine, and Straton offers two. Thrifty buyers may choose the efficient and accurate Swiss Ronda 5030D quartz with a 4 o'clock date. Those seeking a high-performance option can tick the option sheet to select a SeaGull ST-1902 hand wound mechanical unit with no date and a display case back. Both movements feature small seconds, 30-minute, and 12-hour functions. 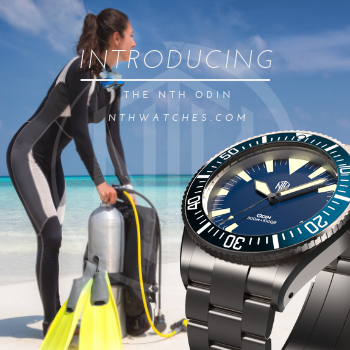 All photos courtesy of Straton Watch Company.